After years of Joan feeling stifled and under the shadow of her well-known and successful husband, she has decided to end their marriage. She has gone with him on this last trip, the pinnacle of his career, to receive the Helsinki Award for a life-long contribution to literature. Then she’s going to break it to him. But how has she gotten to this point? Being a promising creative writing student herself, how did she end up in this situation for so long? 1) Joan met Joe when she was one of his students. From a very early point in their relationship, she was in awe of him and wanted to please him. And it continued, became a habit. I was meek, I had no courage, I wasn’t a pioneer. I was shy. I wanted things but was ashamed to want them. I was a girl, and I couldn’t shake this feeling even as I had contempt for it. This was the 1950s, and then it was the sixties, and by this time Joe and I had ironed it all out; we had a rhythm going, a style, a way of life together. 2) When it came to her own writing career, for many years she believed that it was next to impossible for women to become successful writers. She gets this message early on, as a student, from a semi-successful female writer at the time (1950s). 3) At the beginning of their relationship, Joe pretty much told her that living their lives any other way (i.e. Joan the successful writer and Joe the husband of a successful writer) was unacceptable. Joe’s not made out to be a ‘bad guy’; we’re told that he loves his wife and he loves his children. But his actions don’t match up. We’re reminded of the era, and the expectations of men and women of this era. But is that an excuse? He is primarily concerned with himself, but doesn’t recognize it or realize the impact of his actions (or non-actions). It’s interesting that I have read two books recently in which the husband/father is an egotistical writer (the other being Swimming Lessons). If you throw in Hemingway (from our last Literary Wives read), that’s three. There were moments during our marriage when Joe seemed unaware of his power, and those were the moments when he was at his best. Joe once told me he felt a little sorry for women, who only got husbands. Husbands tried to help by giving answers, being logical, stubbornly applying force as though it were a glue gun. Or else they didn’t try to help at all, for they were somewhere else entirely, out walking in the world by themselves. But wives, oh wives, when they weren’t being bitter or melancholy or counting their beads on their abacus of disappointment, they could take care of you with delicate and effortless ease. Hmm… sounds like an insult wrapped up in a compliment. But mostly just an insult. However, it gives us an idea of what he thinks of women/wives and their role. What was Joan’s role as Joe’s wife, and her experience of being in that role? This question can be answered by using nothing but quotes from the book. Joan tells us exactly what she thinks. And it’s not all bad… In the end it’s a question of how much ‘bad’ she is willing to take along with the ‘good’. I was the wife. I liked the role at first, assessed the power it contained, which for some reason many people don’t see, but it’s there. My desire to have a baby was swaddled in the need to make Joe happy. Everyone needs a wife; even wives need wives. Wives tend, they hover. Their ears are twinned sensitive instruments, satellites picking up the slightest scrape of dissatisfaction. Wives bring broth, we bring paper clips, we bring ourselves and our pliant, warm bodies. We know just what to say to the men who for some reason have a great deal of trouble taking consistent care of themselves or anyone else. Whenever I was nursing, I felt as if there was nothing else in the world I needed to be doing. It didn’t matter to me in those moments that I had no career of my own, no standing in the world. Everyone knows how women soldier on, how women dream up blueprints, recipes, ideas for a better world, and then sometimes lose them on the way to the crib in the middle of the night, on the way to the Stop & Shop, or the bath. They lose them on the way to greasing the path on which their husband and children will ride serenely through life. I ignored it whenever I could. It never occurred to me to say, Okay, here’s your part of the deal: Control yourself…. But they can’t, these men, can they? Or can they, and we simply don’t require them to?… What if he left? I knew I didn’t want that, so why harangue him since he seemed incapable of change? In her worldview [Joan’s daughter], bad marriages were simply terminated, like unwanted pregnancies. She knew nothing about this subculture of women who stayed, women who couldn’t logically explain their allegiances, who held tight because it was the thing they felt most comfortable doing, the thing they actually liked… A figure you never strove toward, never worked yourself up over, but simply lived beside season upon season, which started piling up like bricks spread thick with sloppy mortar. A marriage wall would rise up between the two of you, a marriage bed, and you would lie in it gratefully. Which of these quotes resonates with you? Which have you had experience with? Which ones ring true, and which ones don’t? As someone for who equality in a relationship is the foundation of its success it’s hard to see how a marriage with its beginnings in a teacher/student relationship can ever work. I was thinking exactly the same thing. Not really a great start! I think they all ring true, for many marriages in the 1950s. I believe I read this book a while back and enjoyed the writing. It’s painful to read of the depictions of marriage in that era, and to know still many marriages are like this. In the literary world, it seems to be a common trope, although there are examples of wonderful literary marriages, such as Joan Didion’s. I believe Paul Auster and Jonathan Franzen’s first marriages ended, and I believe at least one of them was married to another writer, and it was an issue when one achieved success and the other didn’t. Paul Auster is married now to a successful writer. I especially wonder about contemporary marriages of women my age I know who are fundamentalist Christian and believe that the husband is the head of the household, etc. etc. As time goes on and a woman gets older but has known no other type of relationship, it must be nearly impossible to change things. I imagine it would be hard for many women to change their lives after so many years. The interesting thing about Joan is that I got the feeling that she chose to stay put until finally she chose not to anymore. She seemed to be able to see pretty clearly how things were, and how she felt about it, and she felt like a strong person – one capable of changing things. Which is what led me to wonder what was keeping her there so long. I don’t think he was the only one getting something out of their marriage, but I think he was benefiting the most. It’s difficult to say what I mean without giving away the ‘twist’ in the story. Thanks for your thoughtful comment, Valorie! I didn’t see Joe as a positive character at all, Naomi, but maybe that’s in the comparison between this novel and Swimming Lessons, which I haven’t read. I found him manipulative and complacent. Like you, I chose not to reveal the biggest secrets of the novel, which limits what you can say. I think relationships like this may exist even now, with one person doing all the work, but they were probably much more common in this couple’s generation. I didn’t see him as positive, exactly, but I did find him sympathetic, which surprised me since I logically can’t see much of a difference between him and Gil from Swimming Lessons, whom I detested. The only explanation I can think of is the way they were portrayed by the author. Joe still made me angry, but I didn’t hate him like I did Gil. I don’t understand it myself! Maybe you could sort of see what she saw in him. Yes, and I’m thinking now that Joe wasn’t quite as arrogant as Gil – he had doubts about himself, which made him seem a little more human. Oh man – the PERFECT book for this book club! And one of my all-time favorites. Writing that just so beautifully captured some of the struggles of being a wife and mother, particularly the stay at home variety. Also – while reading Swimming Lessons, I instantly thought of The Wife and also Fates & Furies. Definitely similar themes there. Oops – I might have failed to mention what I thought of the book! I really enjoyed it! I’ve read the Ten Year Nap, and I liked this one better. I own The Interestings, but haven’t read it yet. Now I’m much more interested in it! 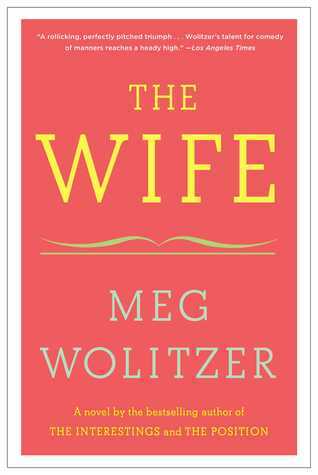 There was quite a lot of dry humour in The Wife – is there in The Interestings as well? 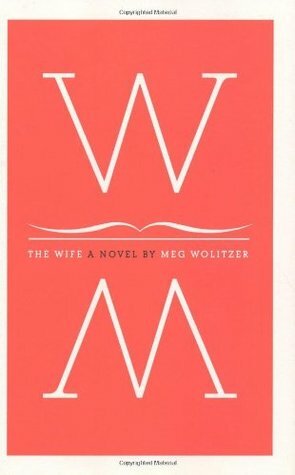 I can see why you might think this book will make you mad (and it probably will), but I find it fascinating to read about marriages, which makes up for that. Great review – I will be adding this one to my TBR list for sure! I look forward to your review of Z: A Novel of Zelda Fitzgerald. I thought that it was a fabulous book and so interesting to read about their scandalous lifestyle! I have not read Mrs. Hemingway but LOVED The Paris Wife! I love that you focused on the era. I think that was a key part of her experiences as a wife, and I think perhaps her change of heart at the end is her realizing that times have changed. I also appreciated your multi-faceted approach to what it means to be a wife. I ran out of time at the end of my review, and didn’t get to all of the interesting things that Joan teaches us. I really liked her, and I didn’t feel sorry for her, although that was a possibility. She seemed to have some power, and that comes out in your review. Thanks, Emily! I was a little worried my review was just all over the place. But I really wanted to show all the different thoughts and experiences she had as she went through the years. It seemed to me that she wasn’t entirely regretful about it all – just done with it and ready to move on. I was hoping it would also show how complicated women’s feelings can be about being a wife – it’s never black and white. A student -teacher relationship is always complicated I feel. I loved the quote about wives needing wives (source of comfort). Haha, I think its true. I think she’s using the relationship issue as an excuse. One can always take a pen name and just write. If you really want to that is, then do it. Enough with all the angst. I hadn’t thought of the fact that she could have used a pen name… good point! I think it would be hard to develop a relationship with equal status when you start as teacher and student, although it was probably even harder in the 1950s, when the idea of a stay-at-home husband and father was still outlandish to many. And it’s definitely easy to fall into a way of doing things that go against what one dreamed of at a different point in life. I know I had certain ideas or principles before I had kids that flew out of the window once it was time for me to care for someone else 100%. And there are times now when I wonder how the heck I got to certain points. Thankfully, I don’t regret that things have worked out differently than I had imagined when I was younger. For me, though, an extramarital affair would definitely mean the end. There’s no coming back from that. It *is* so easy to let life go by and then realize you’re not where you thought you’d be way back then. Some of us are okay with that, and some of us aren’t. But it’s definitely relatable! I’m glad to hear from another person who has read Z -starting to look forward to it! I’m so glad you’re loving The Birth House! I haven’t had the time to pick it up yet… maybe if the library books stop coming in for a while. Fingers crossed! Oh, it would be interesting to read about a marriage that is the other way around! Stoner looks as if it might be a good one for this group! You and I used many of the same quotes, Naomi! I neglected to include the part where Joe bemoans the fact that wives just get husbands! That did make me laugh and it helped make him a bit more sympathetic, too. Though overall I despised Joe for manipulating Joan to glorify himself. I realize that Joan had to agree to it, at least implicitly by her actions, but I wanted her to do more for herself! I think I feel that way about so many women/wives/spouses! I know some males I wish would stand up for themselves more, too! At least I feel as if we have the opportunity to make our own choices now…much more so than in the 50’s or 60’s! That’s a plus! I couldn’t imagine letting him have all the accolades and just being “the wife” though. UGH!! I can understand why she hated sitting there and listening to him thank her in his award speeches – it would have been like he was rubbing it in. But I can also see why he always did it! It probably eased his conscience a bit. Yes, it might. I was thinking that he hadn’t thanked her in the past, but did for the first time in Helsinki? I must have misread or not remembered the mention of him having done it before. She certainly was gracious about everything, especially after his death. I know I would have been sorely tempted to rant and rave…although she was certainly more than complicit in the deception. She did always seem to be calm and collected, didn’t she? The book sounds good. 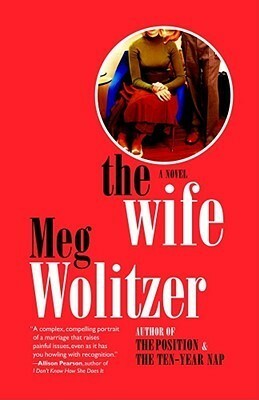 Are you going to read The Aviator’s Wife? sounds like a similar theme. 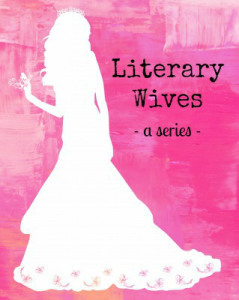 The Literary Wives read The Aviator’s Wife in August 2013, before I joined the group. The quotes all sound familiar, if not from my own experience then from those of women I’ve known well enough to glimpse these truths. It sounds like a book I’d enjoy; I read The Position a couple of years ago and found it much the same way on relationships (insightful and real, not always happy). You read such a great variety for this group; I’m curious to hear about Z next month! That’s what I liked about it, too. There were so many familiar and relatable moments, even ones that had nothing to do with marriage. I’m curious as to what you thought about the book? For me, having read Fates & Furies first, it felt derivative, but really, this was written first! It left me conflicted. I didn’t like anything about Joe and his oh-so-convenient views on marriage. Knowing what we know by the end of the novel I liked him even less. Sadly, I think it could be a realistic portrayal of a certain kind of marriage. I liked the book. I liked Joan’s voice – kind of conversational and not too serious. I didn’t think of Fates and Furies at all while reading it. Maybe you read them too close together? But, now I’m curious to know if it *did* have an influence on Groff. I think one of the reasons I liked The Wife was that a lot of what is being said about husbands and wives rings true, even now.